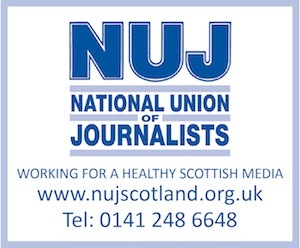 THE Central Scotland News Agency has a vacancy for a reporter (permanent) and a reporter (six-month renewable contract) to join its friendly and successful team – possessors of some of the best-known by-lines in Scottish daily journalism – at its main office in Stirling. The vacancies arises because one of our top reporters, Anna Gault, has been snapped up by The Sun and another of our leading people, Nick Jedrzejewski, has landed a plum job in PR. Agency chief, Tim Bugler, is delighted for them – one of the greatest pleasures in running a top outfit like The Central Scotland News Agency is seeing people grow professionally and then progress. However, Tim is now looking for people who are man, or woman, enough to fill Nick and Anna’s shoes. However, if you are a new journalism graduate hungry to make a start, don’t be put off. This year, for the first time, we are making available a three-month internship, suitable for a person just leaving university, during which time he or she will train alongside our experienced staff. The internship will be unpaid, but will come with the prospect of conversion to a paid contract upon successful completion of the three months. Don’t expect a flashy web site – we are traditional reporters operating quietly to cover the country from top to bottom. Day after day, we scoop the opposition with pics, page leads and splashes in the Scottish and UK national newspapers, TV, online, and in magazines. Salary, etc will depend on experience and qualifications, and all staff benefit from a bonus system which rewards success. A pension scheme is due to be introduced in 2015. Early closing date – Wednesday April 30. Applicants may be interviewed before the closing date, but the positions will not close altogether until the 30th. So get your applications in fast, and be prepared to be called for interview at short notice.